Construction of Singapore’s planned free Wi-Fi service, called Wireless@SG, is now underway as the three operators chosen for the project prepare for the network to enter operation in early January. ICell Network, the smallest of the three operators, has already installed some access points in eastern Singapore neighborhoods, including Siglap and Bedok, said Ken Chua, the company’s chief executive officer, in a phone interview Thursday. Eastern Singapore is the geographic area assigned to iCell by the Infocomm Development Authority of Singapore (IDA), the government agency that is overseeing the Wireless@SG project. The other two operators, SingTel and QMax Communications, were awarded contracts to cover the northern and western areas of the country, respectively. For its portion of the network, iCell expects to deploy around 1,000 access points, Chua said, noting about 25 percent of these will be in place by January 1, 2007, as required by the IDA. The company, which is using mesh networking equipment from Firetide, plans to expand its coverage over the coming year, he said. The Wireless@SG project is among the largest deployments to date for Firetide, which was worked with iCell on other projects, said Mike Downes, Firetide’s vice president of marketing communications. For the next two years, Wireless@SG will offer users a free 512Kbps Wi-Fi connection. To get online, users must register with one of the operators to access the service, but will be able to roam seamlessly across all three networks, Chua said. When completed, Wireless@SG will cover locations across Singapore, although most of the country won’t be covered by the network. A list of Singapore neighborhoods and locations that will be covered by Wireless@SG is available online, including maps of each planned coverage area. The IDA wants to see Wireless@SG increase Singapore’s usage of wireless broadband services and has worked with operators to select areas for coverage that will serve the most users, Chau said. In addition, operators must meet the IDA’s subscriber targets, he said, noting that construction of the networks is being subsidized by the government. 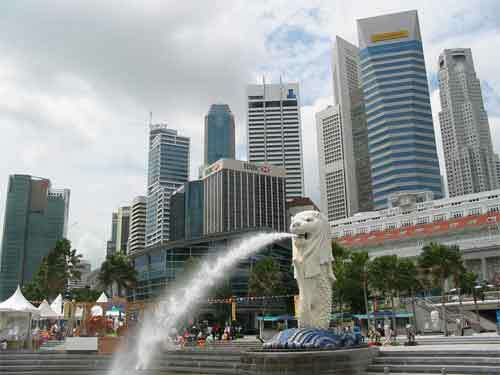 The Singapore government will cover the first S$30 million of the estimated $100 million needed to build the three networks for Wireless@SG, iCell said.